All homes currently listed for sale in the zip code 33407 as of 04/21/2019 are shown below. You can change the search criteria at any time by pressing the 'Change Search' button below. 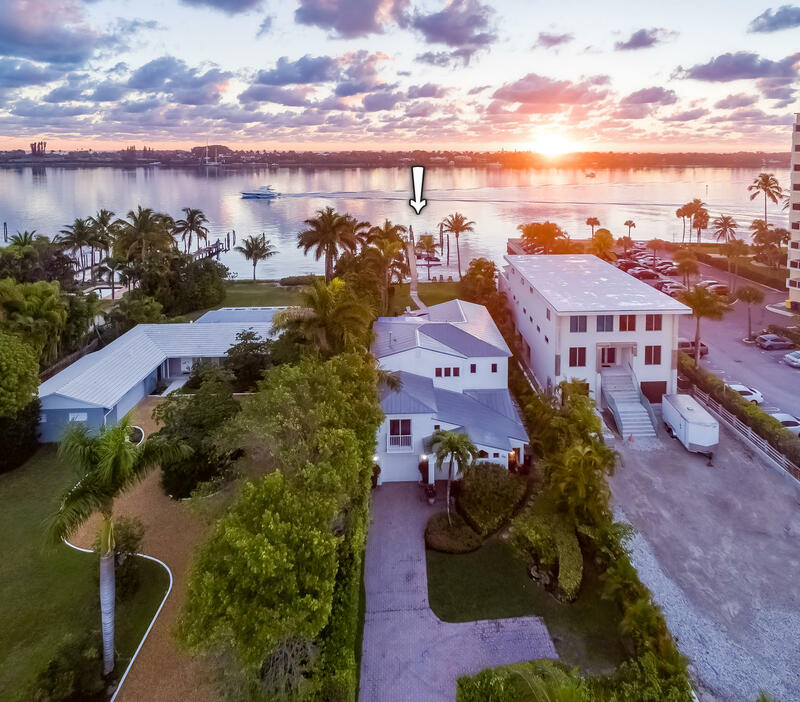 "Enjoy spectacular sunrise views of the Intracoastal Waterway and Palm Beach from the private white sandy beach of this beautifully updated, bright & spacious, 3BR/31/2BA + loft home located on a large grassy lot with a private 170ft dock with 2 boat lifts, dry dock for jet skis, and enough space for a 70' yacht! This gorgeous home has vaulted volume ceilings, hardwood floors throughout, large windows and glass-paned French doors, an open concept kitchen with wood cabinets and black granite countertops, dual master suites, and an expansive covered balcony that can be accessed from the loft and upstairs master which overlooks the water, backyard, dock, and large pool. The patio can be accessed from the dining area and downstairs master and has a covered ceiling and paver flooring." 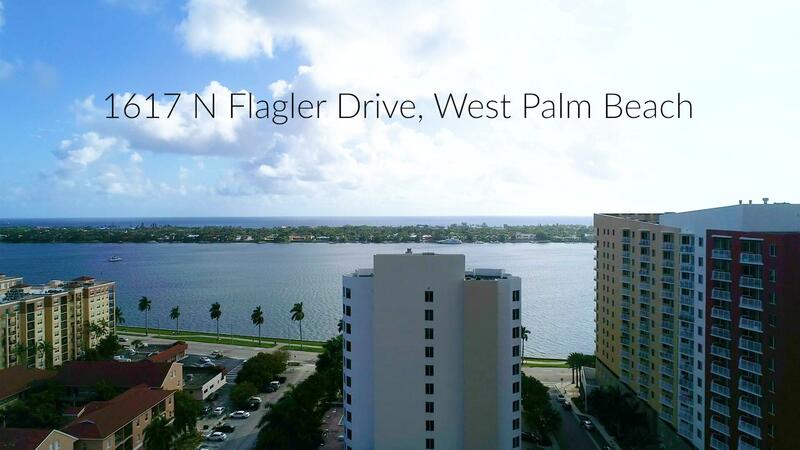 "Stunning 3000+sf Penthouse corner unit with direct views overlooking the Intracoastal and Palm Beach. Direct elevator access to unit with large open spaces; 10' ceilings, 3 large balconies, huge closets, convertible 3rd bedroom, two pets any size and assigned garage parking for 2 vehicles. Boat slips available (up to 40'). Beautiful low rise, Key West style community. Next to Rybovich Mega Yacht Marina. 24/7 Manned guard gate." "516 and 520 34th St. Sold together as a compound totaling 7 bedrooms, 7.5 baths. 516 is a 2/2 completely renovated with all impact glass and a beautiful pool deck that combines the 2 properties. 520 the main house is 4 bedrooms and 4 1/2 baths with beautifully designed living areas, and a new kitchen with professional gas range and granite counters. All new hardwood floors throughout. 2 bedroom suites are on the first floor, and 2 bedroom suites on the 2nd floor, plus the 1/1 cottage behind the main house. The outdoor areas are like a resort with an elevated pool deck surrounded by lush landscaping and paver stone decks. Completely fenced and private. Current rents are $2800 per month for 516 and the cottage as income. The property would also make a great Air B&B with many options." 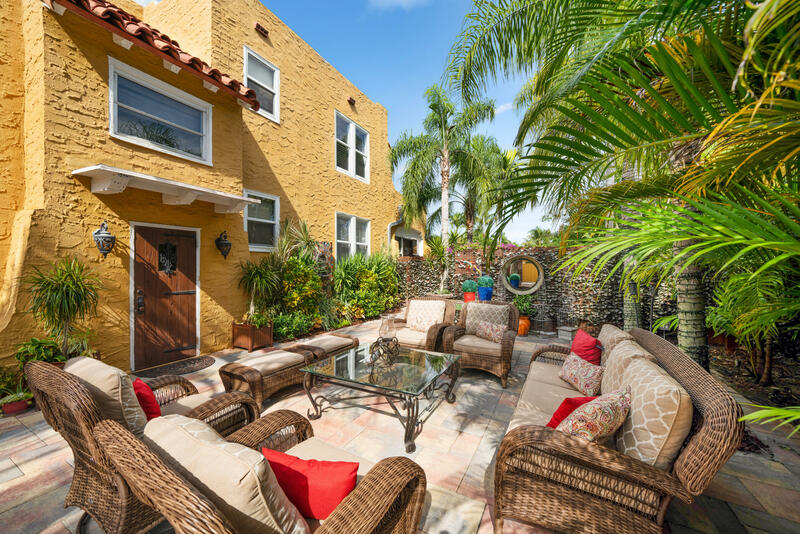 "Unique Opportunity to Own Adjoining Properties To Combine And Create A Charming Oasis / Compound ( 431 33rd Street And 441 33rd Street ) Two 1926 Classic Homes and a Cottage All Carefully Updated, Keeping The Character of Old Florida, And Adding The Modern Upgrades For Today's Living. (Total of 6 Bedrooms and 4 1/2 Baths ) With The Beautifully Landscaped Backyards There's Plenty Of Room For a Pool, For Entertaining Family And Friends. The Perfect Location In Old Northwood. ( see separate Listings For more Details )"
"Absolutely gorgeous, renovated to perfection! 2 Story 4BR/3bth Mediterranean dream home on beautiful tree lined street in Historic Old Northwood with pool and detached guest cottage. All the original architectural details restored, plus a seamless 2 story addition. Palm trees and a Chicago Brick walkway lead to a Pecky Cypress door opening to gorgeous designer interiors, gleaming hardwood floors, stunning living room with Mizner style fireplace, 19 foot formal dining Room with tray ceiling, sunroom with arched windows & plantation shutters, large family room addition with clay tiled floors, custom book cases & three sets of French doors opening to a cypress ceiling patio with Chicago Brick floors flowing to the heated pool with spa waterfall and private ''tropical oasis'' back yard." "John Volk's ''Villa Primavera'' on the market for the first time. Built in 1925 and one of five original John Volk's in Old Northwood. The main house has 3 bedrooms and 2.5 baths with beautiful original architectural detail throughout. The home is virtually unchanged. 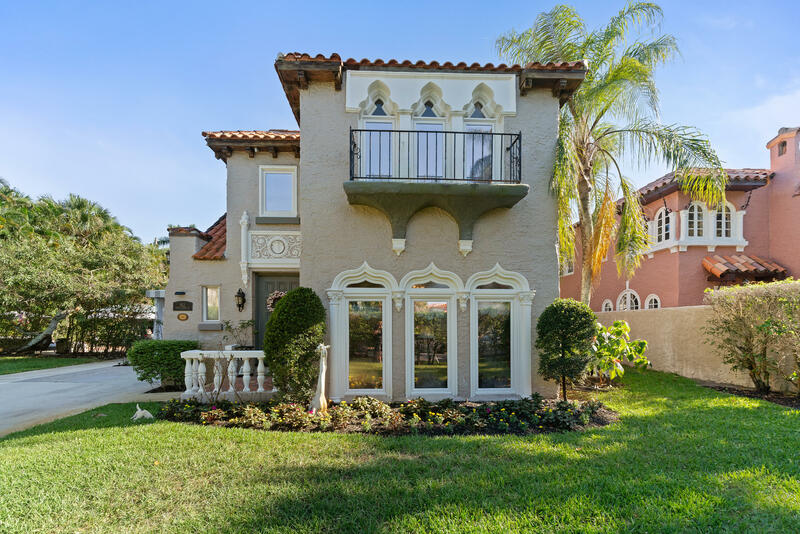 Volk's trademarks remain, the tiled foyer, the Spanish-style arches, the iron banister, the Pecky Cypress doors, open beams, and moldings make this home a classic of it's time and place. The living room captivates you upon entering with 20 ft. open beam ceilings, original fireplace mantel and 2nd floor open balcony. The original hardwood floors and marshmellow style plaster work throughout. Updated kitchen and baths. The 2 story guest house is a 2 BA and 1 BR with an open 2nd floor balcony overlooking the lush tropical yard." 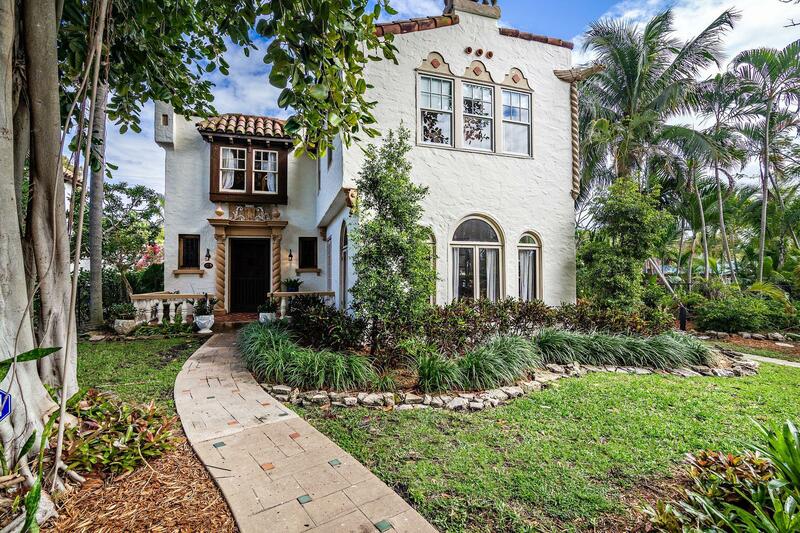 "HISTORIC 1924 MEDITERRANEAN BEAUTY IN DESIRABLE NORTHWOOD. 4 BEDROOM 2 BATH HOME PLUS 1/1.5 GUEST COTTAGE WITH FULL KITCHEN SITUATED ON AN OVERSIZED DOUBLE LOT WITH A FABULOUS SALT WATER POOL AND SPA. NEW WINDOWS, HURRICANE IMPACT DOORS IN BOTH HOME AND COTTAGE. CUSTOM KITCHEN FEATURES GRANITE COUNTER TOPS, STAINLESS STEEL APPLIANCES. DOUBLE DOORS LEAD TO A VERY INVITING SIDE WOODEN DECK. RESTORED ORIGINAL OAK HARDWOOD FLOORING IN BOTH HOMES. NEW ROOF, NEW AC IN BOTH HOMES, NEW BATHROOMS, NEW ELECTRIC AND PLUMBING. ENCLOSED FLORIDA ROOM. CIRCULAR DRIVEWAY WITH PLENTY OF PARKING. GAS FIREPLACE. PLENTY OF CLOSET SPACE. THIS HOME IS ONE OF A KIND, NOTHING COMPARES!" "Magnificent 1,900 sq. 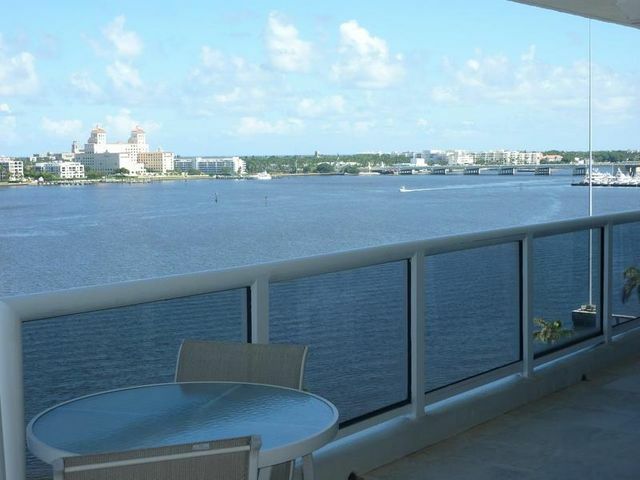 foot... 2 BD/2.5 BA Direct Intracoastal corner unit with outstanding views... and lovely terrace! Full Service Building...Two covered parking spaces, Two 25 lb pets accepted. Great Rental History leased every year... Great Investment property..This building allows multiple leases per year. Leased December to May, 2019. Easy to Show! 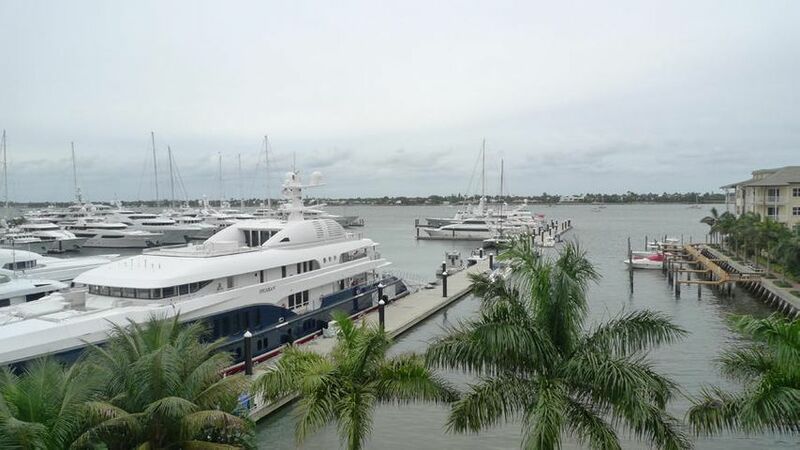 AVAILABLE FOR ANNUAL LEASE $5,000 per month... OR FOR SALE"
"Enjoy breathtaking views of the Intracoastal Waterway, Rybovich Superyacht Marina, and Palm Beach Island from your expansive private terrace. Private elevator access opens to a large 2 bedroom, 2-1/2 bath, PLUS a study which can be converted to a 3rd bedroom. Living more like a private residence, this condo has been updated with real Brazilian hardwood floors, crown molding, and upgraded finishes throughout. 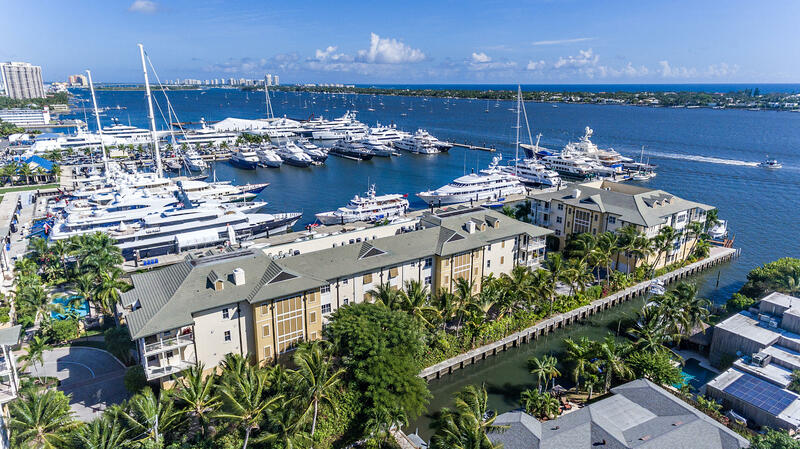 Along with the convenience of 2 assigned garage parking spaces and direct elevator access; extra amenities include a 24/7 manned guard gate, waterfront pool, fitness center, a private 40' boat slip available separately, and 2 pets of any size are allowed." "Exquisite, John Volk ''Villa Mimosa'' located on a private corner lot in the heart of Old Northwood. 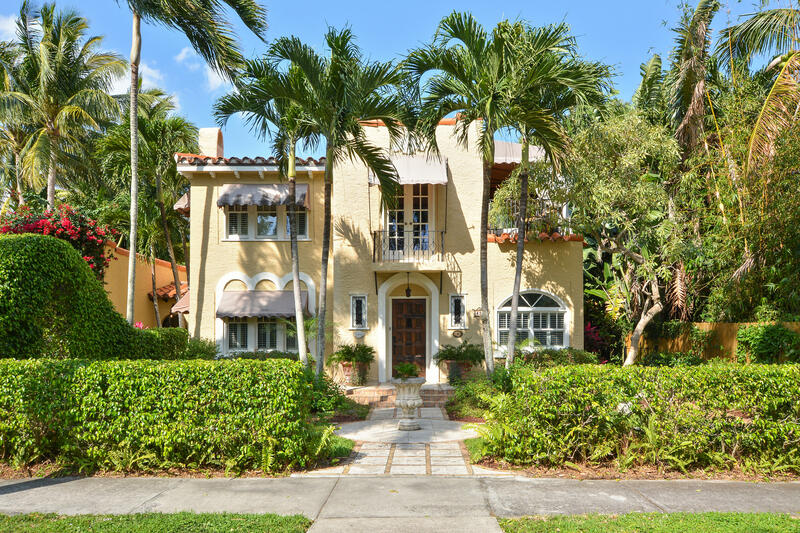 This West Palm Beach treasure is one of 5 historically significant homes designed by Volk at the young age of 25. 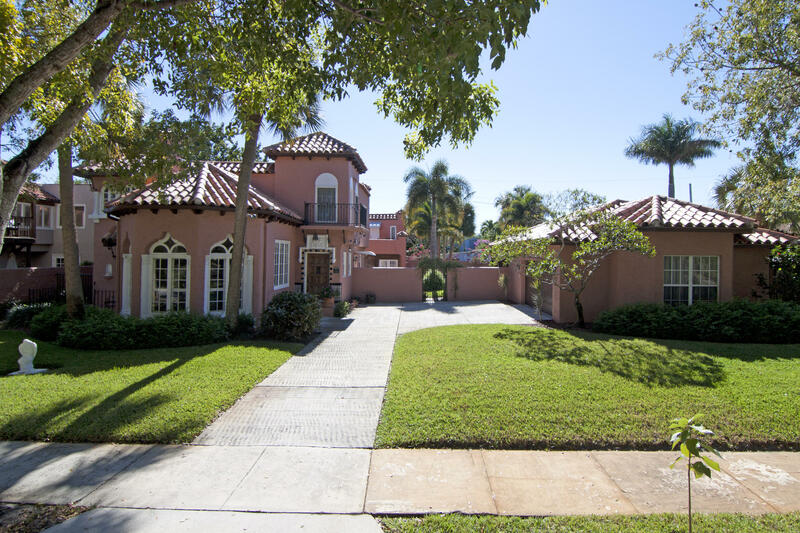 The moment you approach the property you are taken back to the early days of Florida with amazing architectural details including an original gargoyle overlooking the southeast lawn and pool. As you enter the foyer you're greeted by a stone open staircase with open arched walk-ways. Other original details include pecky cypress doors, window frames and ceiling beams; hardwood floors, a stone mantel fireplace and formal dining room surrounded by large windows allowing beautiful views of lush landscaping." "John Volk's ''Casa Dia De Fiesta'' a mini-compound in the heart of Old Northwood. The main house is a 3 BR, 2.5 BA with beautiful original architectural features throughout. Original fireplace mantel, beautiful arched detailed windows, tall ceilings, and a grand entrance foyer with the signature Volk staircase and cascading windows. The master suite is unusually large for a 1920's home with walk-in-closet and a large bath with a separate tub, and shower, and a Juliet balcony opening over the patio. The outdoor space has a large covered patio that lives like a family room with a TV and living area all facing the resort style pool deck. There are 2 legal rental apartments, the upstairs apt. is partially renovated. The property is on a double lot with a gated entrance to the parking areas." 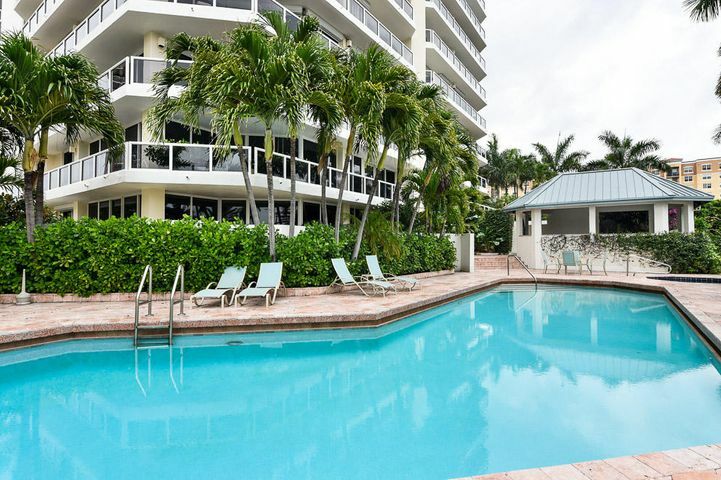 "Direct waterfront condo located in the heart of West Palm Beach and minutes to Palm Beach. Pristine unit with only 2 per floor, has an intimate style of living with full amenities including poolside dining gazebo with grill , fitness center and 24 hour service. Unit features an expansive wrap around balcony with beautiful views." 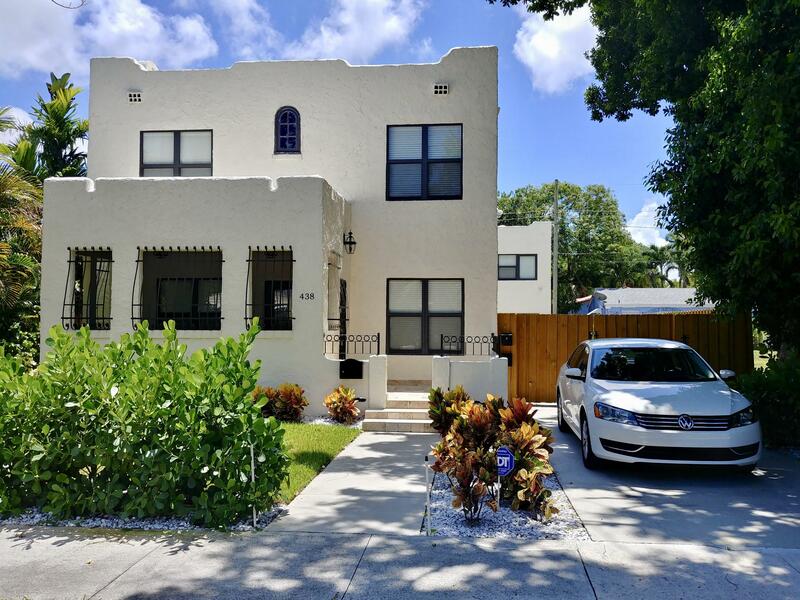 "Elegant 3 BR 1.5 Bath 2 Story Classic Old Florida Frame Vernacular 1926 Home, With A Spacious 1 BR 1 Bath Guest Cottage In Desirable Old Northwood Historic District. Hardwood Floors Throughout, Fireplace With Terra-Cotta Tile Hearth, Bookcases And Columns Framing The Dining Room, Modern Kitchen With Carrara Marble Countertops, Polished Nickel Hardware And Plenty of Storage. 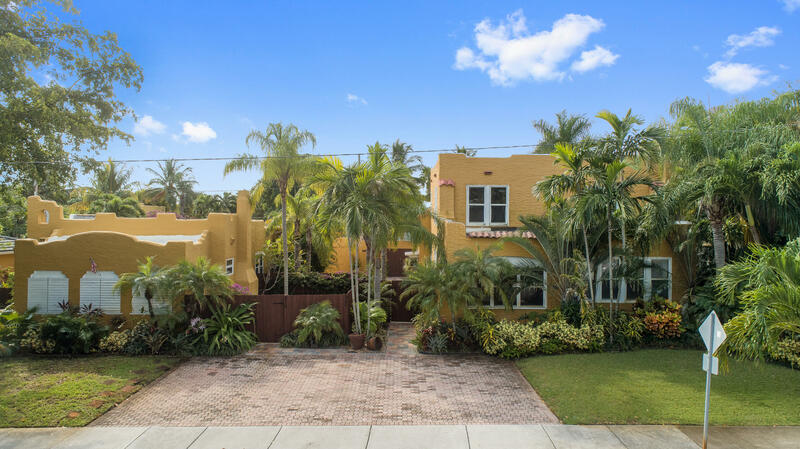 The Porte-Cochere, The Lush Landscaping And Private Backyard Creates The Tropical Retreat You Are Looking For, With Plenty of Room For a Pool If Desired. Make sure You See This one !" "HIP, HISTORIC, OLD NORTHWOOD! 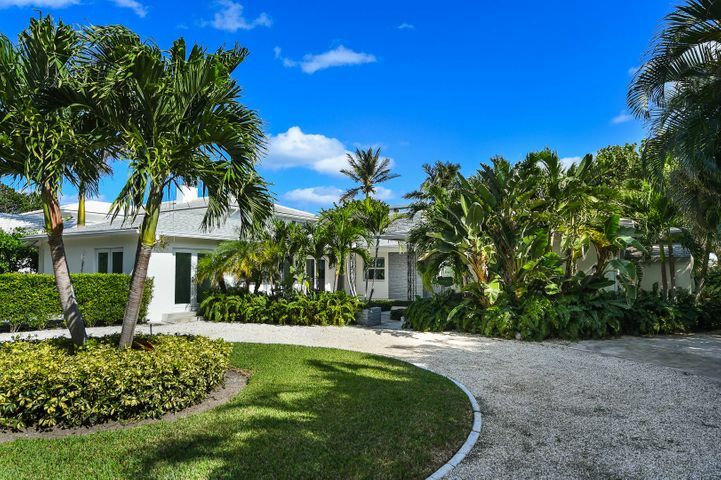 Welcome Home to this Palm Beach Mansion in Old Northwood! 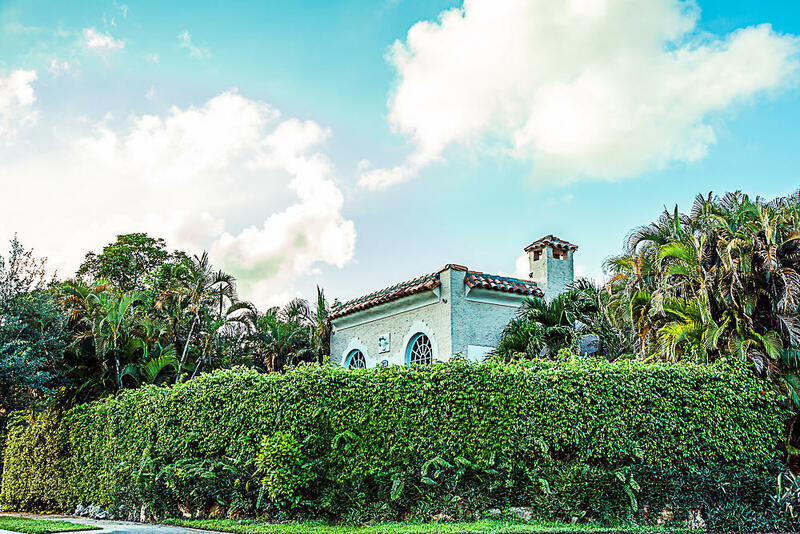 Northwood Hall was built in 1925 and it is an extraordinary home complete with significant architectural elements from the legendary Dodge Estate (Playa Riente), Addison Mizner's most magnificent Palm Beach villa. Baronial hall has 30 foot ceilings, numerous antique stained glass panels and royal standards. 3 bedrooms, 3 baths, fireplace, Pecky cypress doors. Large Florida room, pool, updated utilities. New gourmet kitchen with 8 burner double oven Viking Professional Range. Romantic spiral staircase and Juliette balcony! The proximity to Flagler Drive and Clematis Street in downtown West Palm Beach as well as City Place shopping and dining make this a standout location!" 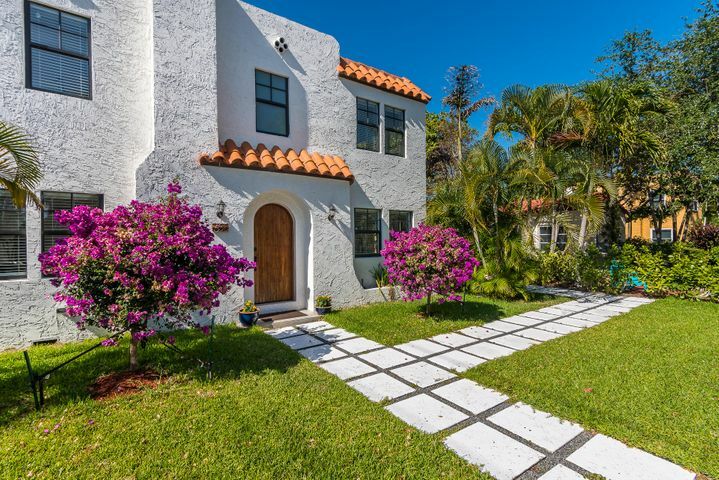 "Large Spanish Mission style home with a 1/1 cottage in the heart of Old Northwood. A beautiful formal entry greats you in to the newly renovated living areas with 10 ft. ceilings and all new hardwood floors throughout. A chef's kitchen with a professional gas range new appliances and plenty of counter space. There are 2 bedroom suites on the 1st floor, with the master suite and 4th bedroom on the 2nd floor. The main house is 4 bedrooms and 4 1/2 baths, plus the 1 bedroom apartment. There is a 1 car garage/storage area and a large wrap-around paver stone patio. 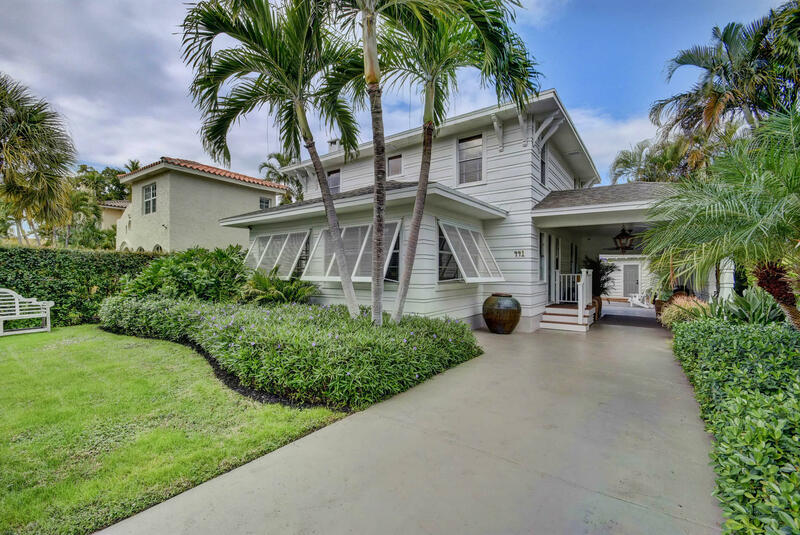 The property is also offered for sale with the home next door 516 34th St. a 2/2 completely renovated with all impact glass and a beautiful pool deck at $1,095,000.Current rents are $2800 a month if purchased together. 1/1 is $800." "ONE.OF.A.KIND. Truly unique double unit. 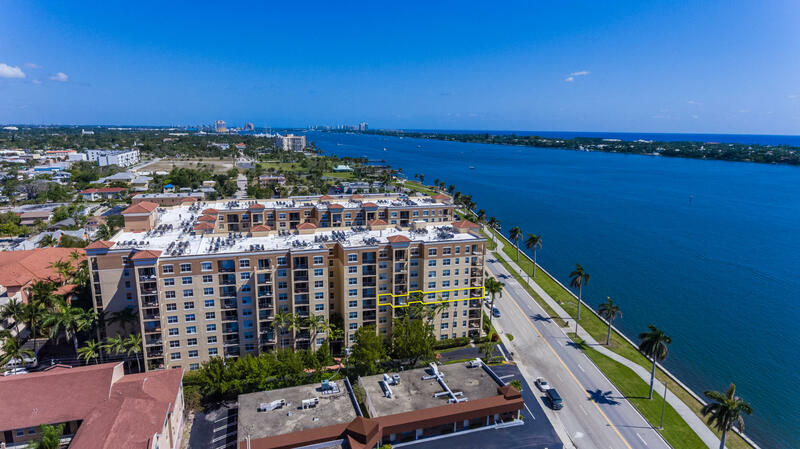 Waterfront corner unit with East and South exposure allows for stunning views of the Intracoastal Waterway, Palm Beach Island, and Downtown West Palm Beach. Savor your immaculate view on your extra large private balcony or from any room in the unit. Entertain guest with your expanded formal dining room and foyer. 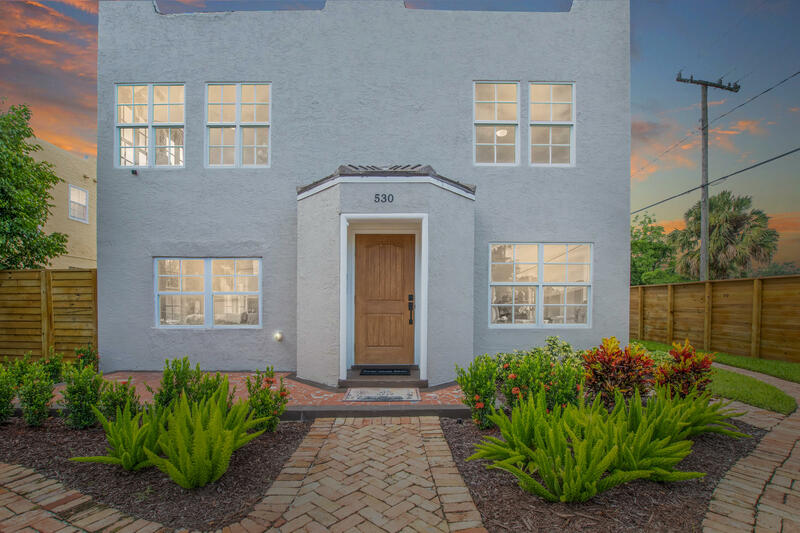 Enjoy the finer things in life with this fully renovated, upscale finish property - includes granite counter tops, solid wood cabinetry, tile floors, Carrara marble bathrooms, stainless steel appliances, upgraded lighting, plantation shutters, crown molding, louvered doors, etc. This property includes a 2nd entrance AND 2nd kitchen, perfect for a nanny, long-term guests, or live-in in-laws." 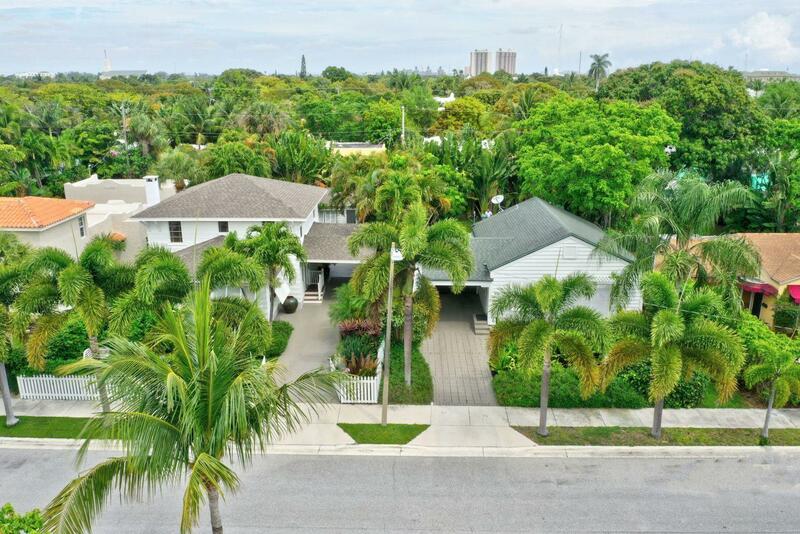 "Experience this Immaculate Custom Made 5 BR / 5BA Home, including a Beautiful Guest House and Freeform Pool! 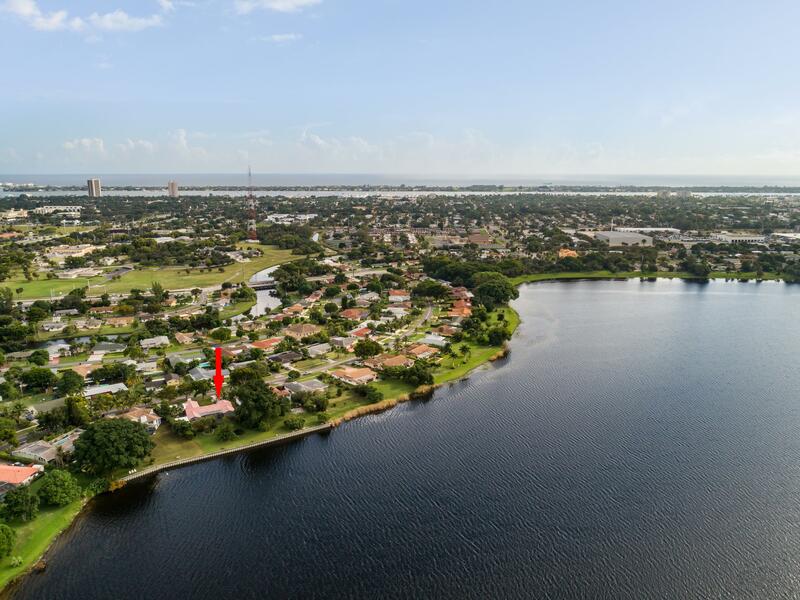 Enjoy the sparkling water during the morning sunrise and evening sunsets as this property sits on over 1/3 Acre on one of Palm Beach County's largest lakes. Office/Den/Library can easily be made into a 6th bedroom! Both structures have just been completely painted inside and outside and have new carpet throughout. Family Room has Fireplace and Wet Bar. Elegant Master Bath nicely done with Marble Floors, Walls and Counter Tops. Kitchen has Stainless Steel Appliances with 2 Stoves and Sub Zero Refrigerator. Pass through window perfectly located over Stainless Steel Sink for Spectacular View of the Large Pool area with Lanai, Beautiful Professionally Landscaped Grounds, and Expansive"
"Unique opportunity WPB blank canvas awaits designer to create a dream home. Expansive intracoastal views. Boutique building. 24/7 Concierge. Mgr. on site. Semi private elevator access. Pool. BBQ. Gym. Garage. Elevator. Central Location. Rare 2 combined units. Units may be separated. Wood floors. Contemporary cabinetry." "Beautifully renovated historical property close to everything! Main House with travertine front porch, 3 bedrooms, 2 1/2 baths plus den, decorative fireplace, large dining room, beautiful kitchen with granite countertops and Viking appliances, second floor laundry. All new AC, roof, stucco, electrical, plumbing, impact windows, engineered hardwood flooring and triple master shower. Detached second building includes 2 completely finished one bedroom/one bath mother-in-law suites and/or office currently earning $2,200 per month! Excellent investor opportunity! Beautifully finished with wood tile floors, granite countertops, floor to ceiling tile finished bathrooms. Tenant Washer/Dryer in the one car garage. Comes equipped with ADT system. This stunning property won't last long." "Huge price reduction! Fully renovated! Great income property! Includes guest house for a rental and/or Airbnb!Main house is 3-bed, 2.5-bath. Guest house is 2-bed, 1-bath with 1-car garage that can serve as a rental or an in-law suite. Impact Windows/Doors throughout. New: Electrical, Plumbing, High efficiency A/C, Roof Resurfaced, and BLINK security system. Don't miss the opportunity to own this beautifully remodeled home in Old Northwood Historic District. 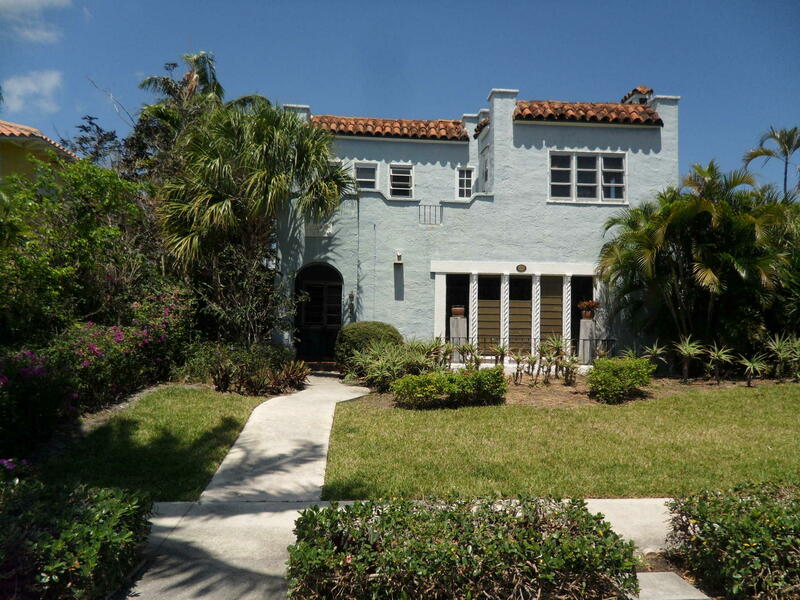 Built in 1926, this home has been fully restored top to bottom. 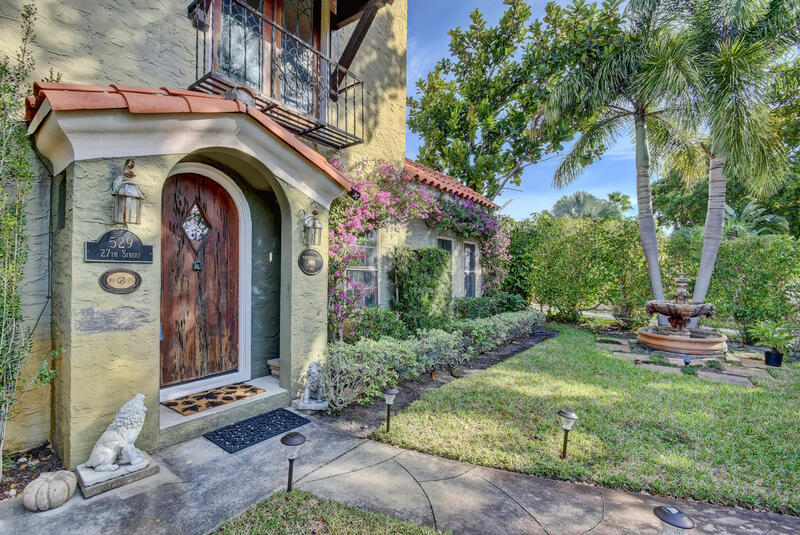 Walking distance to Northwood Village and the Intracoastal!" "Extraordinary Spanish Style Estate Home in Northwood. Fully renovated within 2 years offering timeless lines with a fresh inviting palette. Every Life enhancing feature considered with a Complete smart home technology (Eco bee 3 Thermostat, Nest video system, Lutron smart lighting system, Schlage smart door lock) and Sonos wireless home theater surround sound system throughout. You can Experience the ultimate gathering & cooking space with a Gorgeous Modern Kitchen Design or relax pool side on one of the many wood deck areas surrounded by lush tropical palm trees and bamboo. Truly a magnificent home with an invitation to infuse your personal style." 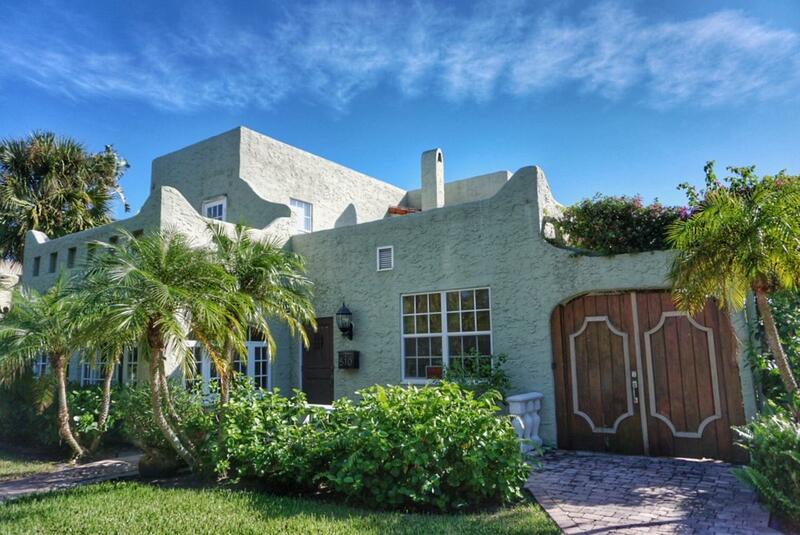 "Diamond In The Rough...2 Story 1928 Spanish House 4 Bedrooms 2 Bath Main House (With A Bedroom & Bath On First Floor), Fireplace, Wood Floors, Large Rooms, High Ceilings, Large Kitchen With Breakfast Nook Plus A 1 BR / 1 BA Guest Cottage, 1 Car Garage And Pool. This Home Needs Work, But You Have The Opportunity To Make It Your Own ! Take A Look And See The Possibilities."